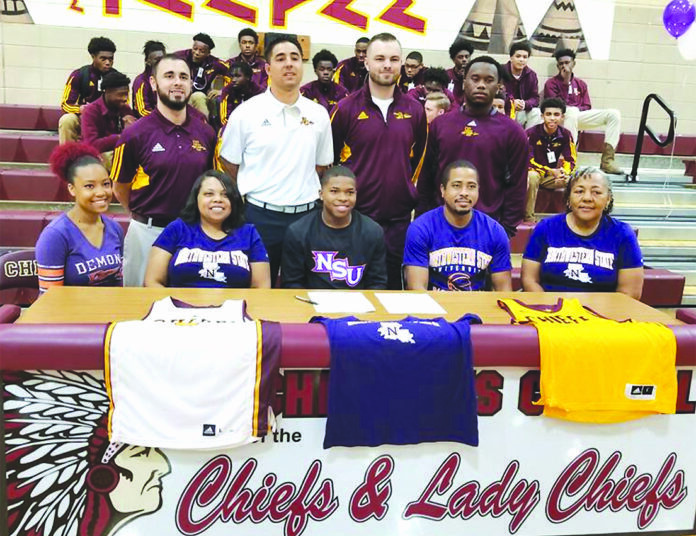 Natchitoches Central basketball three-year starter Brain White Jr. signed a letter of intent to continue his basketball career on the collegiate level for Northwestern State University. This signing will give Northwestern State a speedy, tough point guard to distribute the ball on offense, while playing hard nose defense. White’s parents are Katrina Wilson and Brain White Sr. His grandparents are Doris Hullaby and the late Charles White.